Nate Grimsley is known for teaching crafts at 4-H camp each year. In a world where so many things don’t make sense, Nate Grimsley has discovered something that does. Ten years ago, Nate’s daughter won 1st place at the Leon County 4-H Tropicana Public Speaking Program and was awarded a full scholarship to Camp Cherry Lake. Nate had attended camp at Cherry Lake as a camper decades earlier and after being asked 9 years ago by 4-H agent Marcus Boston to consider attending camp as a volunteer he said “Yes!” and has never looked back. Today, Nate still serves as a chaperone for camp, but he also teaches art and crafts classes during the week. He has taught hundreds of youth how to make paracord bracelets and to weave fans and insect models out of native palmetto leaves. He is so good at his volunteer role that he is often asked to volunteer at other county camp weeks and even the State Shooting Sports Camp. 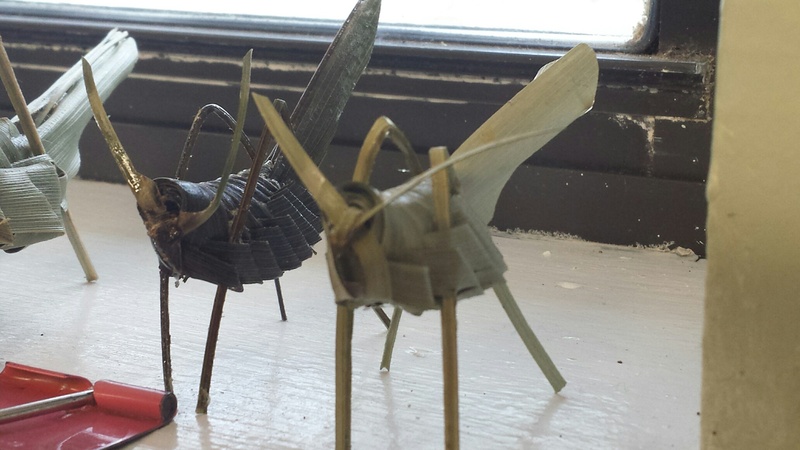 Nate teaches youth to use palmetto branches to weave fans, baskets and even 3-dimensional insect models. Nate’s example has had a huge impact on his own children. Both of his children served as teen leaders for 4-H. His son’s cabin always won “cleanest cabin” and his daughter was such a good counselor that he was invited to intern at a camp in Maine. “The leadership skills that my kids learned at camp helped both of them land their first jobs. 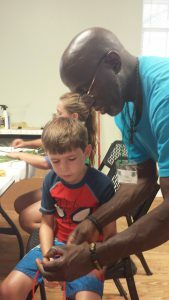 It is a great program and parents and teens should take advantage of it.” Marcus Boston and Stefanie Prevatt, 4-H faculty at the Leon County UF/IFAS Extension Office, have developed a strenuous but highly effective camp counselor leadership program. Even though it is a volunteer position, teens must complete an application, screening, interview and 30-hour training program in order to serve. Even though Nate’s kids have graduated out of the 4-H program, he continues to serve. In addition to being a certified chaperone, he is also certified to teach archery through the 4-H Shooting Sports program. Erlier this year, he taught workshops for teens at adults at the Northwest Teen Retreat and 4-H State Volunteer Leader’s Forum. 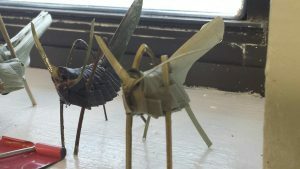 Nate’s palmetto-leaf grasshoppers are a popular camp craft and are extremely realistic looking. 4-H offers a wide range of volunteer positions to fit various schedules, interests and abilities. To find out more about volunteering and what is available in your community, contact your local UF IFAS County Extension Office or visit http://florida4h.org/volunteers. 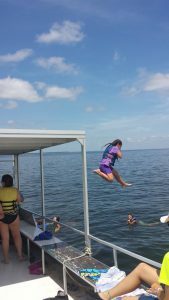 Its official- summer camp season has started, which inspired me to ponder my own childhood camp experiences and how different they were from what 4-H offers. My first youth camping experience was not fun, but it also was not through a positive youth development program (gasp!). That’s right- although I have been a 4-H professional for more than 17 years, I did not grow up in the 4-H program. In fact, I had never even heard of 4-H until I attended graduate school at a USDA land-grant University. One of the explanations for my “4-H vacuum” can be attributed to the fact that I was born into a military family. Much of my childhood was spent overseas and at that time, 4-H was not widely offered on military bases the way it is now. Today University of Florida 4-H faculty serve as liaisons to 4-H clubs on military bases in England, Germany, Italy and Cuba. UF even offers a week of camp specifically for military youth called Camp Corral. Because of my limited 4-H experience, it was not until I had a couple of summers “under my belt” as a 4-H faculty member that I really understood the value of our camping program and why it is one of the most significant ways we impact youth. From that point forward, I never dreaded all the work that went into making camp happen. I realized the true impact of what we do, and I have heard countless youth express similar sentiments over the years. It gives youth a break from the cliques or labels at school. They can explore new interests and cultivate an appreciation of the outdoors. They learn how to be responsible for their belongings; how to get along with others in cramped cabin spaces; they observe adults and teens working together and respecting people who might look or act differently from themselves. When I wear my 4-H shirt , I am almost always stopped by strangers telling me that they were in 4-H and that 4-H camp is where they met their best friend, spouse, where they learned to swim, or how they learned to lead. 4-H camp matters. 4-H camp is different and 4-H camp works because faculty, staff and volunteers are intentional about incorporating the essential elements of positive youth development into every aspect of camp. We painstakingly plan to create an inclusive environment where it is safe to try new things like tying a clinch knot to rig your fishing pole, performing a skit on stage or kayaking with dolphins. We purposefully plan to build a sense of community at camp. In a very measured way we develop leaders and youth adult partnerships. 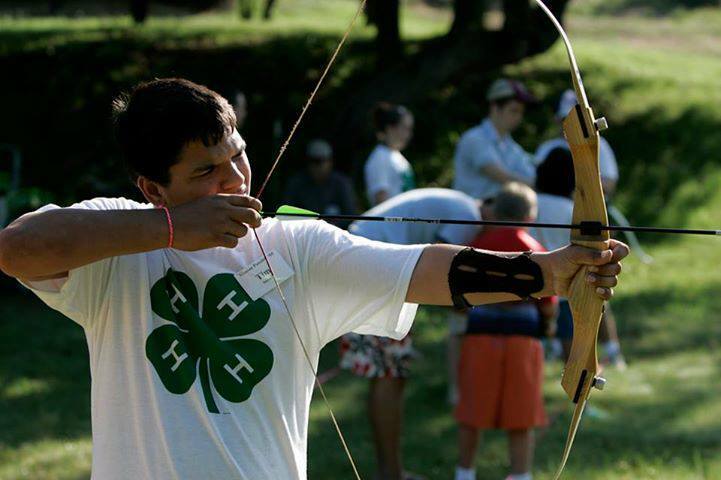 4-H camp is in and of itself a teen-adult youth partnership. 4-H teens are trained as counselors and have quite a bit of input on how the camp week is structured. In addition, these teens demonstrate their 4-H skills by teaching classes at camp, leading activities, and mentoring younger youth. These elements are not present at most other camps- even the really expensive or exclusive ones. However, 4-H camps are reasonably priced and open to all youth between the ages of 8 and 18 (as of Sept. 1st). Camp is a safe place to try new things like archery. Photo credit: UF IFAS. I have had the privilege of witnessing first-hand how camp can ignite a spark in a young person to set them up for success later in life. I saw my first-time campers grow to become counselors in training. After a couple more years I watched them blossom into leaders- not just at camp, but in our community back home and at their schools. I watched them mentor other youth and influence their peers in positive ways. I had the honor of watching them win scholarships and internships based on their service and leadership through 4-H. I saw them return to camp as 4-H alumni, summer staff and volunteers. Now, many of them are successful business owners, teachers, engineers and civic leaders. Soon, my “campers” will have children of their own old enough to attend 4-H camp. As I reflect, I can’t help but hear the faint tune of “Circle of Life” playing in my head. . . But seriously, I wish that I had had the opportunity to experience 4-H camp as a young person. My first (non-4-H) camping experience had none of these elements of positive youth development. I remember being incredibly grateful when the experience was over and thankful to have survived it (it involved an earthquake while traveling by train through the mountains of Italy to reach our campsite- a compelling story for a different type of blog-post). The 4-H camp formula is not only fun (and safe) for kids, it has a well-documented history of teaching them lifelong lessons to help them be productive citizens and members of the workforce. 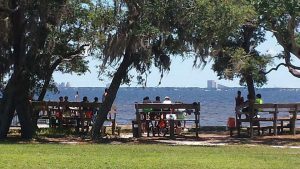 As a Gen X mom myself, I have to ask “What parent wouldn’t want that for their child?” To find out more about the Florida 4-H Camping Program, contact your local UF IFAS County Extension Office, or visit http://florida4h.org. 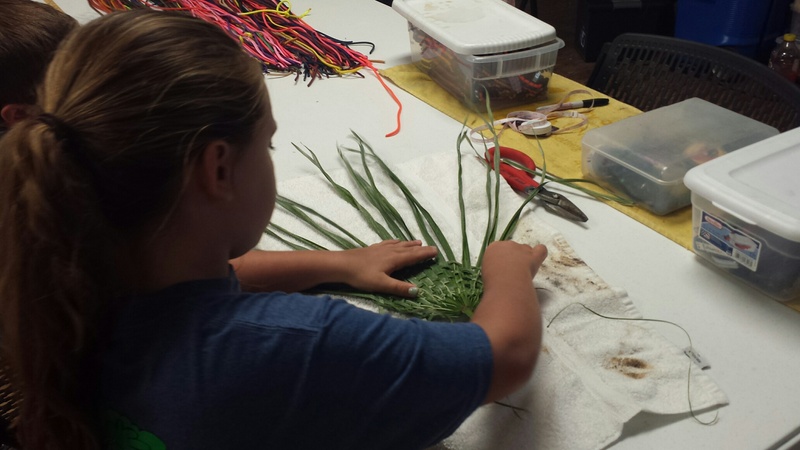 2016 Florida 4-H Camp Schedule– it’s not too late to sign up, but camp slots are going quickly! Though it’s been a few years, Ty still vividly recalls his accident. Thankfully he is still around to enjoy 4-H projects like gardening, cooking, and embryology. Anyone who deals with youth knows that we must constantly assess risks and decide how to handle them. The risks we encounter can be assumed, reduced, transferred, or avoided. My husband and I decided early on that we would be altogether avoiding the risks associated with ATV’s when it came to our personal children. However, in the spring after Ty, our son, turned 2 we learned that my in-laws were taking him on ATV rides not only in their yard and in the woods, but on paved public roads and across major highways to visit friends. We repeatedly asked them to stop, but Ty was hooked, and they found it difficult to tell him no. In fact, on the day of Ty’s final four wheeler ride, my brother-in-law showed up at our house on his ATV to take Ty home with him. I told him to ride home and I’d bring Ty shortly. I waited until I thought he would be safely home and off the roads. After all, it would have been tragically ironic if I had been the one to run over him. When I took Ty over I made it very clear that my husband and I did not want Ty on a four wheeler at all, and that he certainly should not be on the highway. I explained that we had both had friends die in serious ATV accidents when we were younger, and we weren’t willing to assume the risks with our own children. It just didn’t seem worth it to us. Besides, Ty had no gear, the ATVs weren’t made for two passengers, and I knew it was against the law to ride on highways. It all seemed very rational to me, and I thought it was settled. I was wrong. Later that day when my husband answered the phone and then without another word stood up from the table and began walking toward the door, I knew something was wrong with Ty. I was changing our newborn daughter’s clothes after her lunch. I remember grabbing her, picking up a pair of shoes from beside the door for myself, and climbing in the truck with my husband who was still on the cordless phone as we pulled out of the drive. Needless to say it cut him off pretty quickly, and all he could say was, “Blayne said Daddy and Ty flipped the four wheeler on the highway, and Ty’s not breathing.” When we pulled in the drive my father-in-law rushed into the yard with Ty in his arms. Ty’s eyes were open, and he was breathing now. But he was having a hard time, and I could tell he was in shock, so we headed to the ER. X-rays, CT scans, lots of drawn blood, one serious scare that nearly resulted in an ambulance ride to a larger hospital, and seemingly countless hours later, they let us go home with him. He seemed fine, but we had to follow up the next day, and of course, stay up with him during the night in case of a concussion. The whole ordeal was nerve wracking. But the worst part of all was watching my husband hold Ty during the night and repeatedly ask, “What if we had lost him? What would we have done?” Clearly he wasn’t worried about the potential for missed time from work or funeral expenses. He was talking about losing his son – living a life without him in it. It was a moment of shocking clarity when we realized that we loved him more than we even knew. It would have been hard to have lost him that day. Ty miraculously survived his accident with little more than a bruised chest and abdomen and a story to tell. I never said anything to my father-in-law. I didn’t have to. Watching him recount the story to the police investigator, the doctors, and other friends and family who quickly gathered with us in the hospital was punishment enough for both of us. He knew it could have been worse. I didn’t have to say it. For those of you who are curious, a friend had called and asked my father-in-law to come over to help with something. Ty wanted to take the four wheeler, and my father-in-law caved. Ty was riding in front of my father-in-law on the ATV. As they were headed up a steep hill along the way, a large rattle snake was stretched across the road. My father-in-law didn’t want to drive over it with Ty on the ATV with him, and he didn’t want to leave it alive either, so he decided turn around and take Ty home so he could get a gun and come back to kill the snake. With the wheel cut at a sharp angle, and as he was shifting to reverse, Ty reached up and mashed the gas hard. The ATV careened out of control throwing them both and landing on Ty bending the handle bars in his chest. Thankfully, Ty landed in the grass on the shoulder of the road instead of on the pavement preventing further serious injury, and neither of them landed on the snake. (In the chaos, the snake got away. I know someone is asking that right now.) The ATV sat where they left it for weeks before someone moved it. It was more than a year before my father-in-law even had it fixed. It was a sickening reminder of a tough, and unnecessary lesson in ATV safety. Not everyone wants to avoid ATVs altogether though. And I totally understand why. They’re fun. And when used properly, a lot of the risk associated with them can be reduced or avoided. That’s why 4-H has partnered with the ATV safety institute to bring ATV safety classes to youth and families across the nation. Our family’s story is not unique. According to recent reports, emergency departments treated nearly 100,000 ATV-related injuries in the United States in 2013, and nearly 25 percent of those involved children younger than 16. Fortunately, our story has a happy ending, but others are not so lucky. Twenty-three percent of ATV-related fatalities occur in children younger than 16 and most of those, in children younger than 12. So take the time to educate the youth in your life about the importance of ATV safety, and teach them how to be safe on any ATV’s they may be riding. Remember, riding ATV’s is fun. ER visits are not. 4-H offers curriculum, training (face to face and online) and even an ATV Safety App, Treadsylvania, to learn about ATV safety. For more information on ATV safety or 4-H in general , contact your local UF IFAS Extension office. If you have a passion for ATV safety, consider becoming a certified ATV instructor with 4-H. Learn more at http://florida4h.org/volunteers. 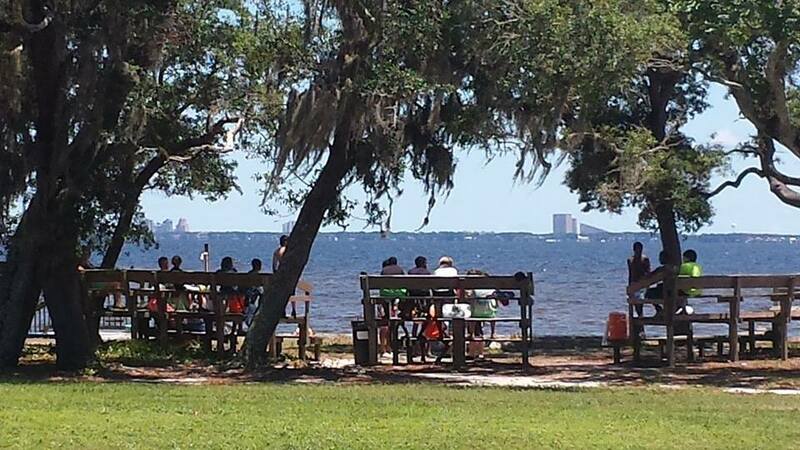 On behalf of 4-H agents across the Florida panhandle, I wish you a fun and safe summer! The 4-H Tailgating Contest is a fun way to learn about nutrition and food safety. The “unofficial start of summer” was Memorial Day and nothing makes me think of summer more than the sounds and yummy smells of grilling out with family and friends. Not only do I get to spend time with the people I love, but I also have the added benefit adding protein to our diets using low calorie preparation methods and cuts of meat or seafood. So what’s the connection between grilling out and 4-H? Florida 4-H is excited to introduce the First Annual 4-H Tailgating Contest. To get youth ready for the contest, many of our counties in the Northwest District will be hosting summer day camps. Youth will learn step by step how to choose the equipment needed to grill, how to build the fire and how to stay safe while grilling. 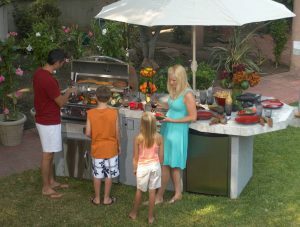 They will also learn about beef, poultry, seafood and pork and how to select the right cuts of meats for grilling. A big part of grilling is enhancing the flavor of meats, so they’ll learn how to make rubs, sauces and marinades as well as the time needed to grill meats to bring out the best flavor. After county day camps, youth have the opportunity to participate in a district level contest (July 23rd) where they can earn their way to the Florida 4-H Tailgating Contest. Grilling out while you “tailgate” is a tradition before football games, so the state contest will take place on September 10th before the Gators take on the University of Kentucky in The Swamp. An awards reception sponsored by Sonny’s and Winn Dixie and an interview during the Gator Pre-Game Show will be the highlight of the contest. 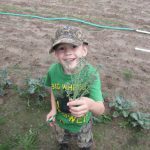 Besides one of the obvious benefits to 4-H membership of learning new skills, 4-H youth are two times more likely to make healthier choices and participate in science programs outside of school time when compared to other youth programs. So join us as we light our grills up and find new ways to grow Florida 4-H!